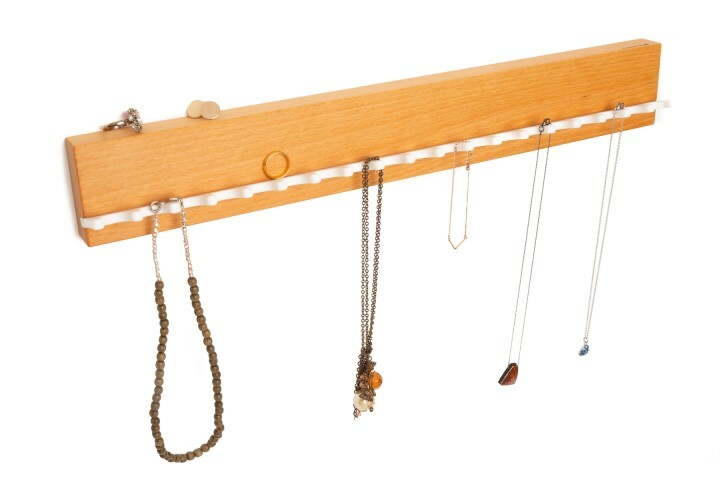 Put an end to the chaos on your dresser or your bathroom shelf with our jewellery storage rack. 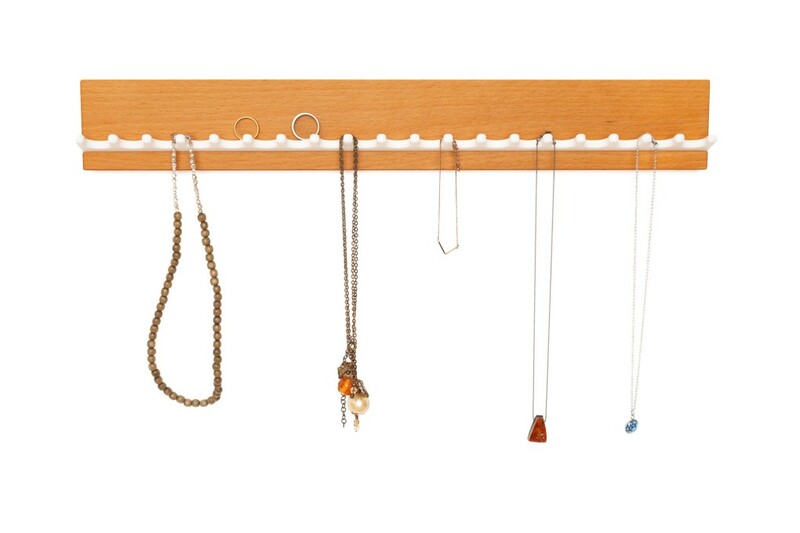 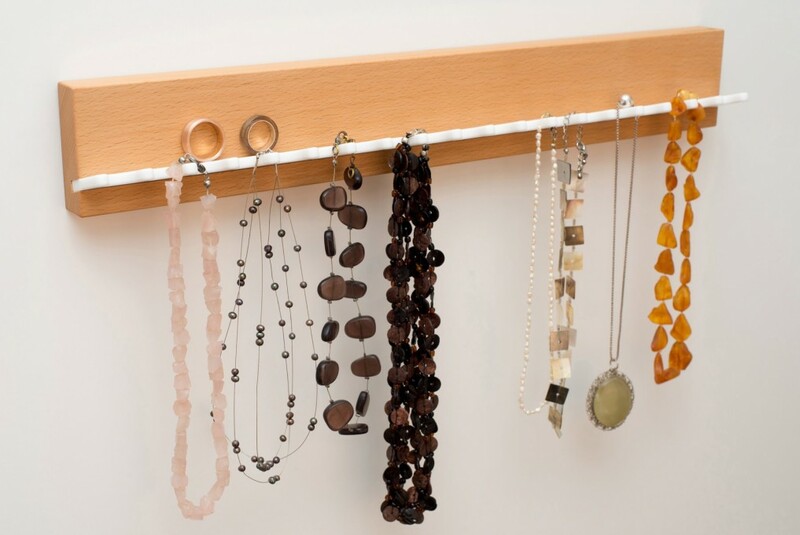 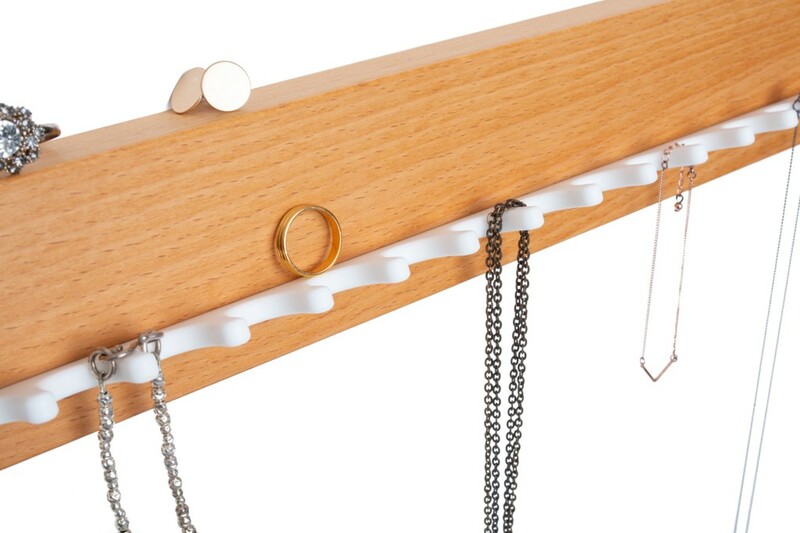 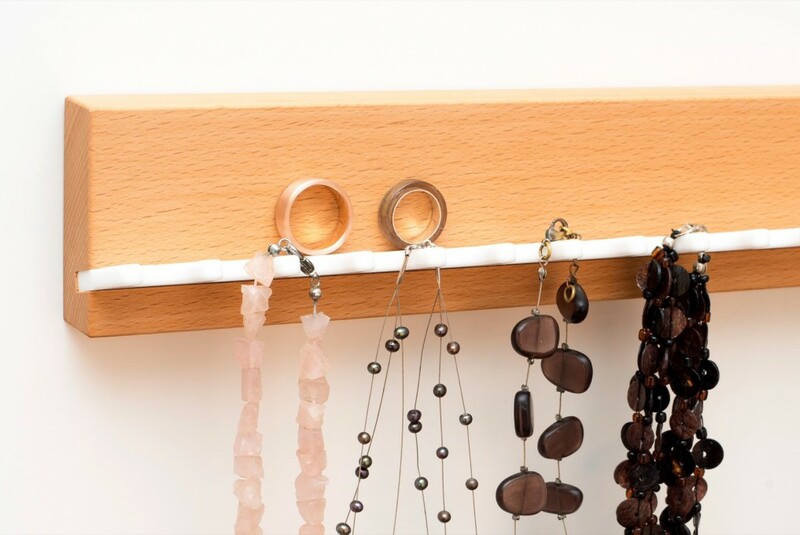 Just store and display your necklaces and rings on our wall-mounted jewellery rack and reach them easily. 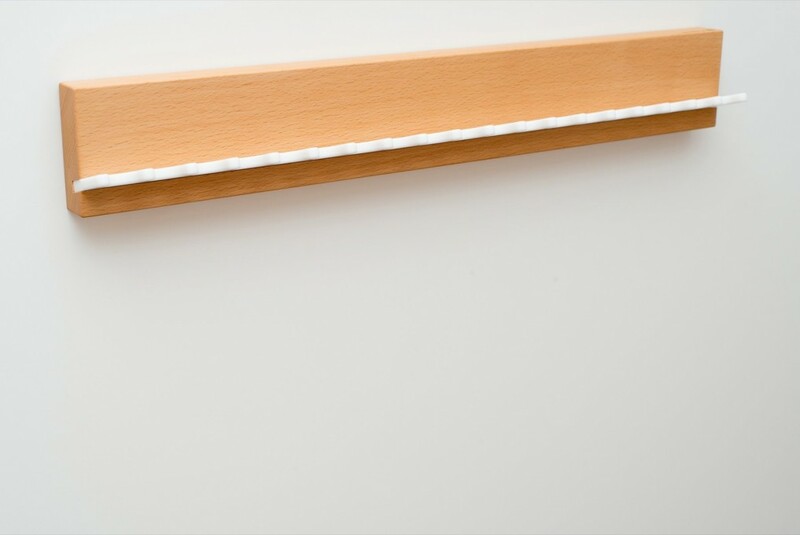 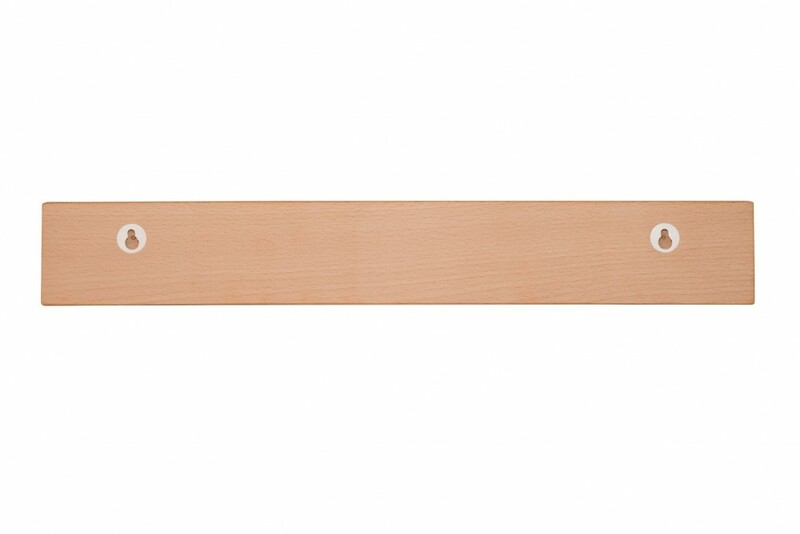 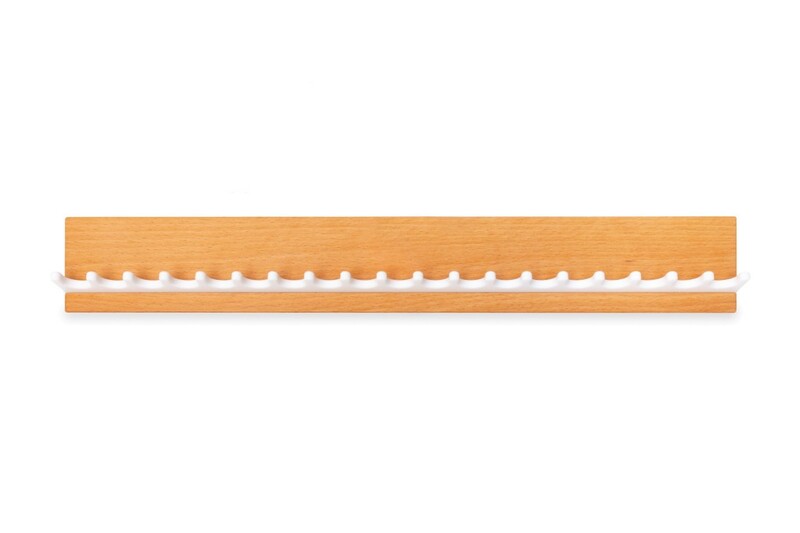 Pegs of solid, white acrylic surface material contrast with a bar of solid beech wood and enhance your bed- or bathroom.